Given its natural and enduring beauty, hardwood flooring remains one of the most popular options for home flooring. It’s a versatile solution that makes a distinctive statement with style variation. Every plank of hardwood is a unique piece of nature that matures over time with age and wear. Hardwood floors have their own character and charm that will last for decades with proper care. 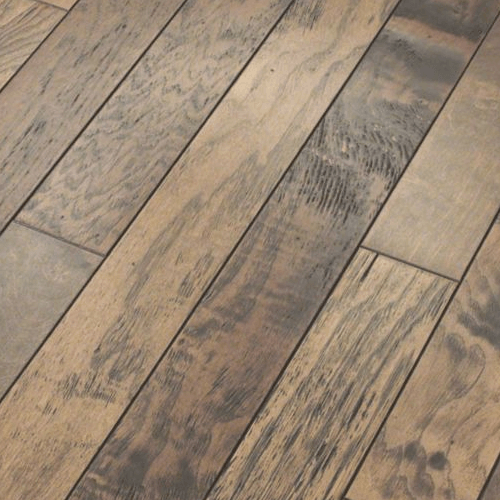 There are different hardwood styles to choose from, what’s your texture? Hover over the images to the right to find out more. 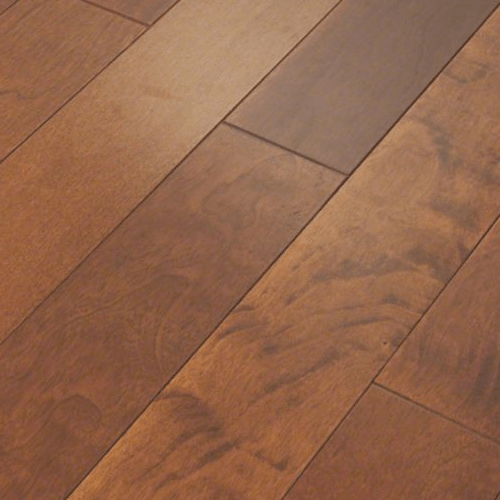 Still looking for more info about hardwood flooring? Here are some of the hardwood questions we get asked most often by our customers here at Bowling’s Carpet. Is hardwood flooring a bad idea if I have pets? Not necessarily! You’ll find hardwood floors in many homes with pets, but there’s always the risk of scratching. Luckily, most scratching that occurs will only be in the layer of finish on the surface of the wood, rather than the wood itself. Regardless, you should strive to keep your pets’ claws neatly trimmed. Don’t place their water or food dish directly onto your hardwood floors, either. Consider laying down a mat. Can we install hardwood floors in our kitchen? You can, but be aware of the risks. Food or liquid spills can damage the finish and wood grain, or even cause permanent stains. If you’re going to opt for hardwood floors in your kitchen, be prepared to wipe up any spills immediately with clean, dry cloth. If you’re vigilant, you can keep your hardwood floors in great shape! 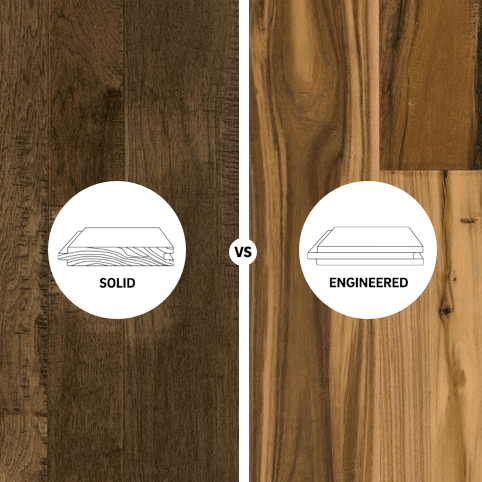 What’s better – solid or engineered hardwood? This comes down to a mix of your personal taste and your needs. Solid hardwood tends to be more expensive, but it can also last for many decades and increase the value of your home. 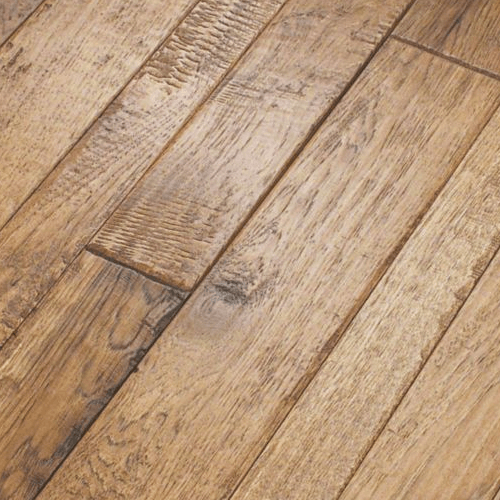 That said, engineered hardwoods are just as beautiful and are far more versatile. They can be installed on any level of your home and stand up better to changes in moisture and temperature. If you’re in need of a more affordable solution, engineered woods are your best bet. 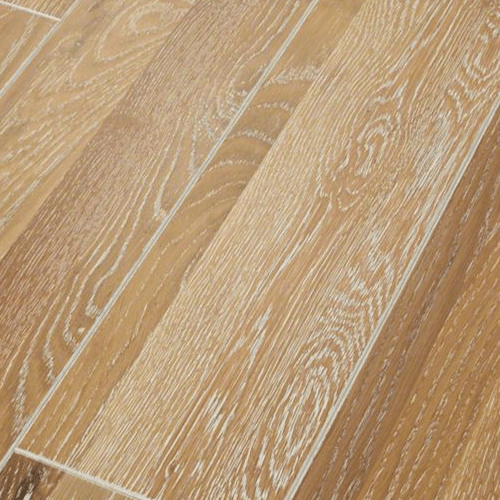 Can I use a wet mop on my hardwood floors? Moisture can damage hardwood floors, so wet mop at your own risk. If you do, be sure to dry the floors promptly. As an alternative to wet mopping, we recommend a dry mop to pick up dust. Any tough, dried-on messes can be addressed with a damp cloth, followed by a dry one to ensure no moisture is left on your floor. Hardwood floors are sturdy and beautiful - but they'll reach their full potential for lasting performance when properly installed! Learn how to properly clean and maintain your hardwood floors. With the right care, hardwood can last for many decades looking new. Get inspired to use hardwood flooring in your own home or business when you browse our gallery of hardwood room designs!